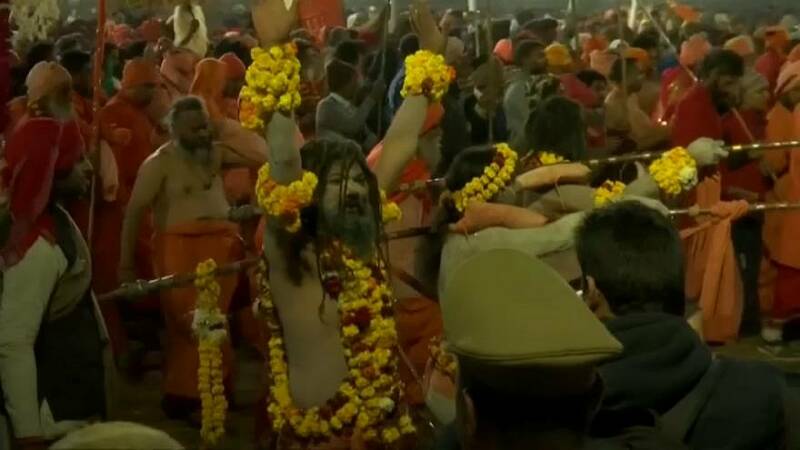 The world's largest religious gathering got underway on Tuesday: India's Kumbh Mela festival. Up to 150 million Hindu pilgrims are expected to attend over the next 48 days. It's being held in Allahabad, at the confluence of Hinduism's holy rivers: the Ganges, Yamuna and Saraswati. The location of the festival is said to be one of four sites in India where drops of the essence of immortality were spilt from an urn being fought over by gods and demons.